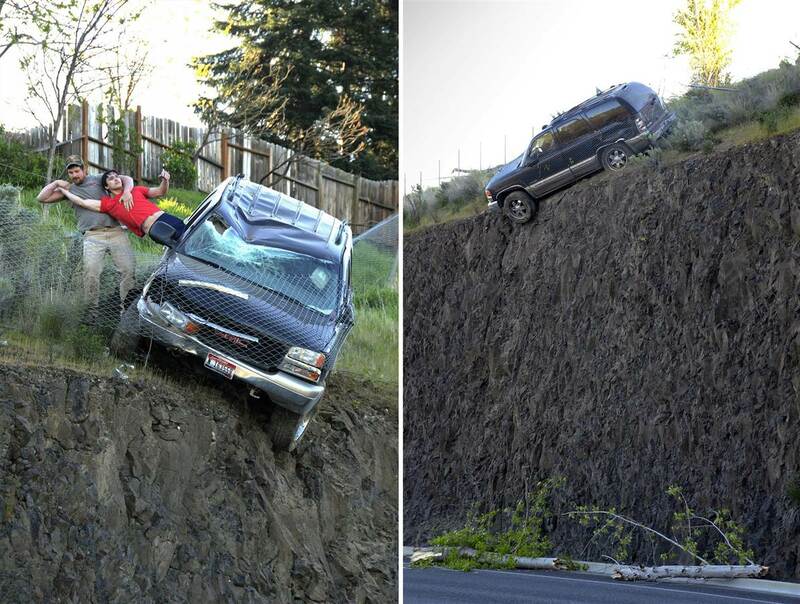 On Wednesday, 29 year-old Jason Warnock was photographed saving 23 year-old Matthew Sitko as his 2000 GMC Yukon was about to plunge off of an Idaho cliff. According to police, Sitko had experienced a “mental episode” while driving before slashing through a back garden and two terraces. Seeing the collision, Warnock rushed to a nearby pedestrian footbridge, climbed to the cliff face, and rushed toward the vehicle. Initially, Warnock tried to break through the vehicle’s window but was unsuccessful. 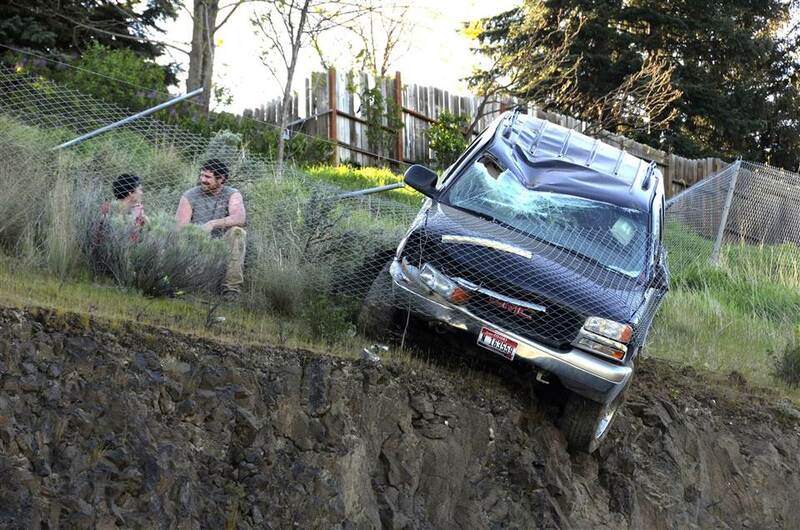 Between calling police and trying to figure out what to do next, the injured driver managed to roll down his window, allowing Warnock to pull him out. This entry was posted in Culture and tagged GMC Yukon, idaho, Jason Warnock, lewiston police, matthew sitko, mental episode, Roger Lanier, Sitko. Bookmark the permalink. The New Star Wars Trailer Looks Amazing! !